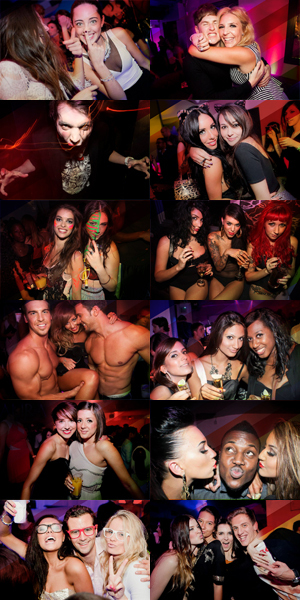 Novo - The Hottest London Nightclubs - Get on the Guestlist & Book a table! Everyone will be dressed to the nines, the hip-hop, RnB and House will be at full volume, and there are even a few complimentary drinks thrown into the mix. Not forgetting our excellent dj’s and a sh*t load of fun. This is going to be epic! Novo is the new hugely popular R&B, Hip Hop & Commercial House Friday night at Chelsea’s glamorous Montezuma club, brought to you by VIP Lounge. The recently renovated club in the heart of Chelsea’s high end club district features a cocktail bar, impressively designed nightclub strictly limited to the VIP. Expect top DJs, celebrities, and a classy crowd who are here to party until the early hours of the morning! Recent celebrities spotted at VIP Lounge party venues? Drake, Rihanna, Kim Kardashian, Kanye West, Tyga, and many many more… You never know who may turn up to one of our nights! Tickets are £12 in advance or £20 on the door. We also take table/birthday bookings if you would like your own VIP table with table service and q-jump entry for your group please enquire for prices by phoning 02072052501. Entry includes some free drinks! Dress code: Dress to Impress! High heels for girls & smart shoes for guys. No trainers allowed.